In this warm and simple tale, two donkeys who have loved each other for years have a silly argument. They each storm off to find someone smarter and better. A children’s book for all ages. Two donkeys who have loved each other for many years have a silly argument. They each storm off to find someone smarter and better. Finally, after they have met a ridiculously small goat, a too-squishy hippo and an over-clingy ostrich, a lone camel in the desert helps the two donkeys realise that they really do belong together. 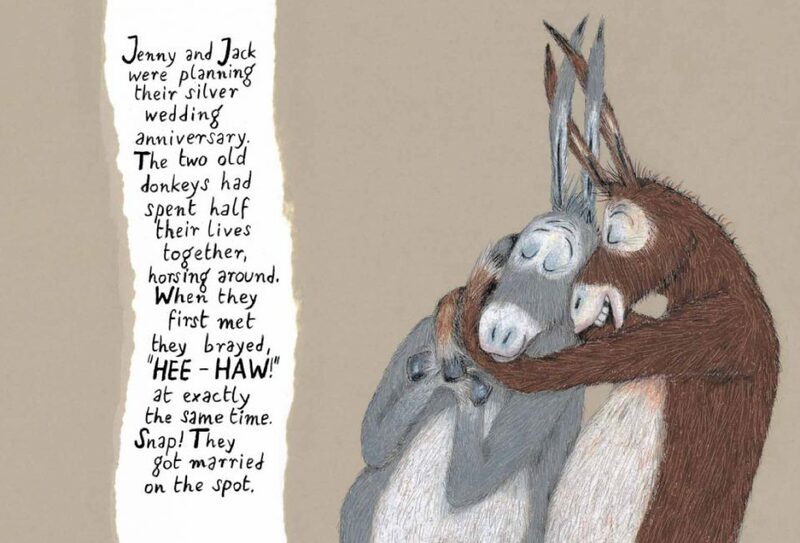 In this simple tale, two stubborn donkeys, Jack and Jenny, have loved each other since the day they first met. With the help of a lonesome camel, they realize that no other match is as befitting as the two of them together. Intricate pastel illustrations convey each donkey’s unique personality. A heart rending journey about the search for true love when it was always right in front of you. The illustrations by Heide Stollinger are well done and the style of text works well to bring the narration into the images. In some ways, this is more of an adult’s book than a child’s one, the story is based around couples and romantic love. This publication is a small hardback and would make a nice gift. This proved a very popular book when it was first published by Gecko, particularly, I suspect, among adults buying for friends or relations about to celebrate significant anniversaries. No doubt this mini-version will become equally popular. Donkeys Jenny and Jack are about to celebrate their silver wedding anniversary, but Jack sleeps through the big event and the quarrel that ensues sends them both off to find more compatible partners. Needless to say, after considering other possible partners, they come to the conclusion that they are, after all, a perfect match. Donkeys Jack and Jenny are madly in love and have been together forever. So when Jack forgets their wedding anniversary…all hell breaks loose. And it’s time for the couple to find new mates…or is it? They have been together so long there are dents and bumps in all the right places – who else will fit? This is a lovely tale of love lost and love found again. A nice message for children. This book looks beautiful on the outside but I couldn’t believe what I read on the inside. If you wish to teach your young child about leaving your marriage partner (it actually states that the donkeys have just celebrated their silver wedding anniversary) and experimenting with other partners to find somebody better then this is the book for you. For the rest of us that don’t want to expose our children to a book that has so many things wrong on so many levels – leave this book well and truly alone! Donkeys is a love story about two donkeys, Jenny and Jack, who have lived together for such a long time that their bodies almost fit together. They have a silly argument and each rushes off to find someone better. But they find it’s not so easy to replace a lifetime of love. Deliciously illustrated, this charming little hardback is a gem, not just for is primary audience of children but equally for adults. 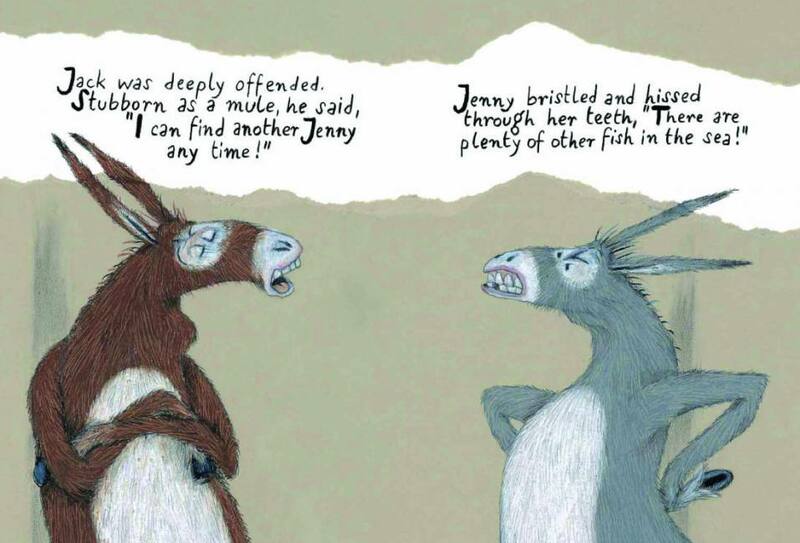 Donkeys is the light-hearted tale of two old donkeys, Jenny and Jack, who have an argument on the occasion of their Silver wedding anniversary… Stollinger’s frolicsome drawings are a nice match for Dahimene’s gently humourous prose. Although the reading level puts it in the early childhood-lower primary area, Donkeys also has an offbeat appeal for old married couples – as an allegory of marriage – and will make an interesting, and somehow appropriate, Silver or Golden Wedding gift. This is the miniature version of the larger hardback, a popular love story about two donkeys who have lived together for such a long time that their bodies almost fit together. They have a silly argument and each one rushes off to find someone better – only they find it’s not so easy to replace a lifetime of love. When they reunite, there is ‘just a chink of sorrow from their time apart’. This is the perfect gift for any long-term couple. A love story translated from Austrian about two old donkeys who realise they are meant to be together. Intended for children, it will tug on adult heartstrings – and it’s the perfect (albeit sentimental) anniversary gift. [Donkeys] is now apparently a standard present for 25th and 50th wedding anniversaries. A European classic by Austrian Adelheid Dahimene, Donkeys has been translated by NZ writer Catherine Chidgey. It has some great lines and while animal sounds and alliteration keep squirmy pre-schoolers attentive, gorgeous illustrations and humour make Donkeys a story parents too will enjoy. I bought it for my mother’s 50th birthday and she loved it so much that she took it and read it to her parents who are in a rest home. My grandparents also loved it and told many of their friends about it. Since then, Mum has showed it to anyone who has come to her house, and apparently people just can’t put it down – they keep pointing at the pictures. What a great book! 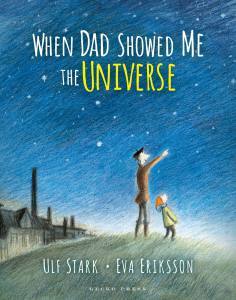 A glorious picture book …. It’s a children’s book, but I’ve seen many adults who just love it. I think it’s a charming book, for all ages. I just love it – the translation is wonderful, language is perfect and presentation/format shows a lovely standard – high and perfection itself. 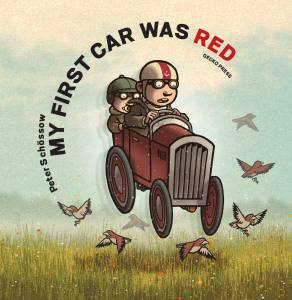 A book to be cherished and shared with children and with adults – and it had a few laughs in the staffroom at school. The kids were very intrigued by the idea that you can be with someone you love for so long that `it shows on your body’ (Jenny has a hollow on her neck, and Jack, goodness me, a bump in the exact same place) so discussion followed about grandparents etc, which was very lovely. Heide St”llinger’s illustrations are great, quirky and not too cute, and it’s great to see a picture book which is all in shades of brown. 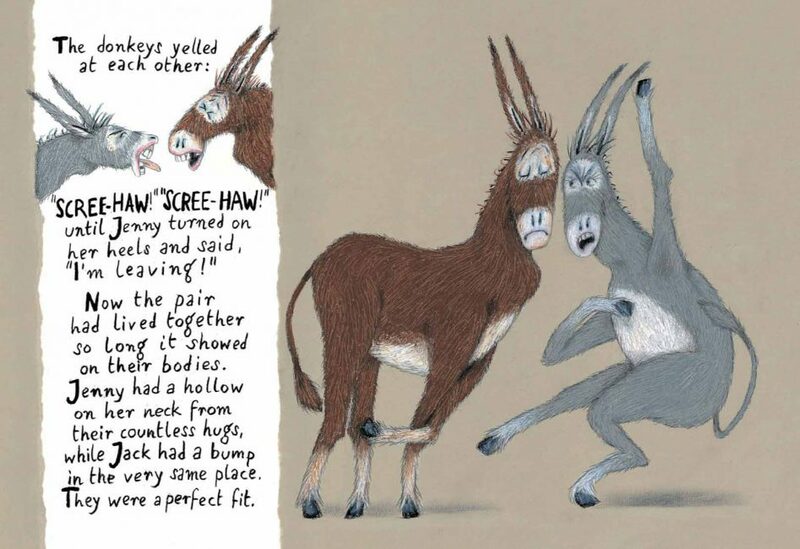 Donkeys is a charming picture book yarn about an old donkey couple who fall out, set off to find new partners and find it’s not so easy to replace a lifetime of love. When they reunite ‘there was just a chink of sorrow from their time apart’. Stunning book – I have purchased this for so many gifts…. and everytime the person receiving it is thrilled.